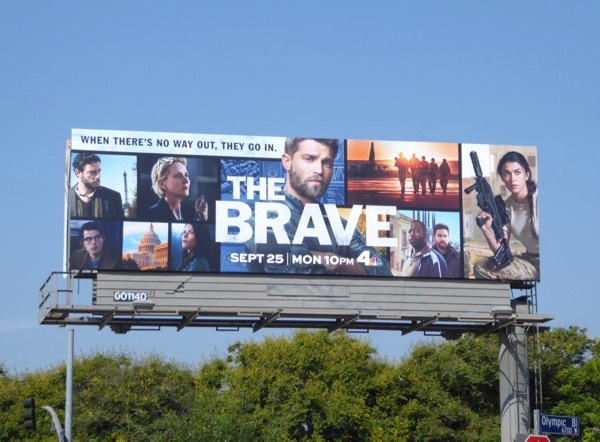 David Boreanaz may be leading the CBS SEAL Team this fall TV season, but NBC has its very own patriotic war drama in the form of The Brave, starring Mike Vogel. 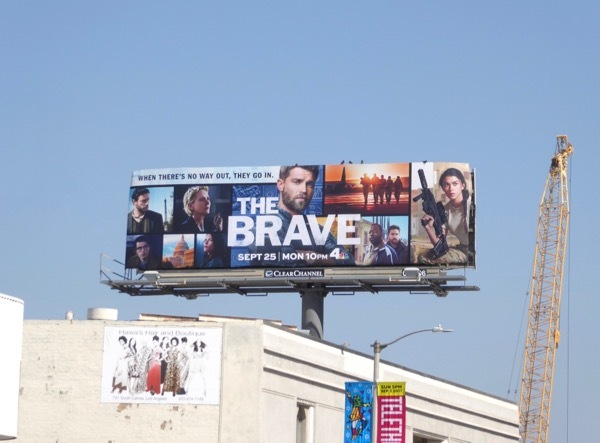 In an increasingly complex and deadly world, as 'Captain Adam Dalton' he leads an elite Special Ops team of the bravest military heroes to carry out the most dangerous missions behind enemy lines. 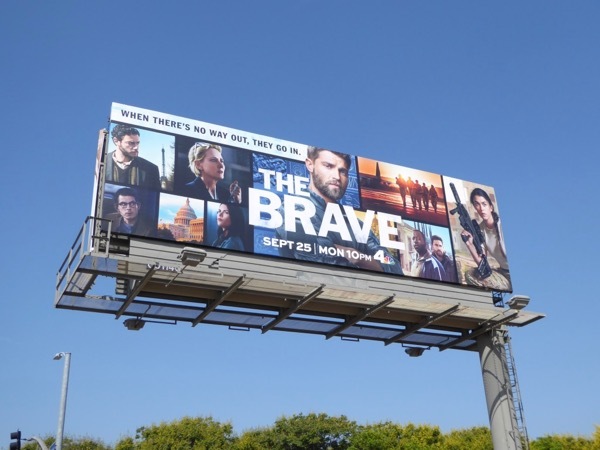 Daily Billboard wonders if this series will be brave enough to tackle storylines like transgender and DACA troops, although maybe not as broadcast television shows are probably trying to stay as far away from controversy and politics this fall TV season and stick to action and explosions to keep from scaring away potential mainstream audiences. 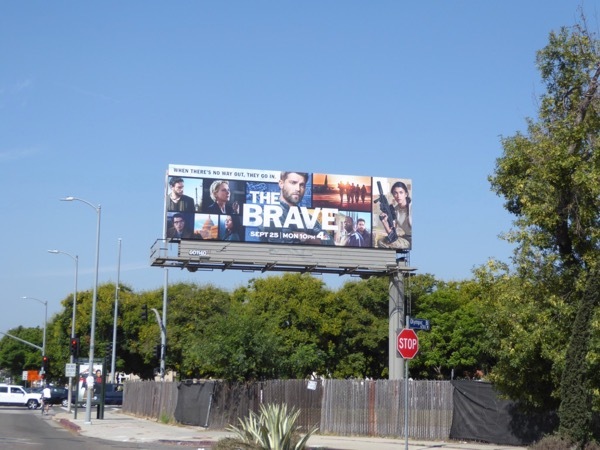 These series launch billboards for The Brave showcasing the cast which also includes Anne Heche, Noah Mills, Natcha Karam, Sofia Pernas, Hadi Tabbal, Demetrius Grosse and Tate Ellington, were spotted along Olympic Boulevard and La Brea Avenue on September 9, 2017. 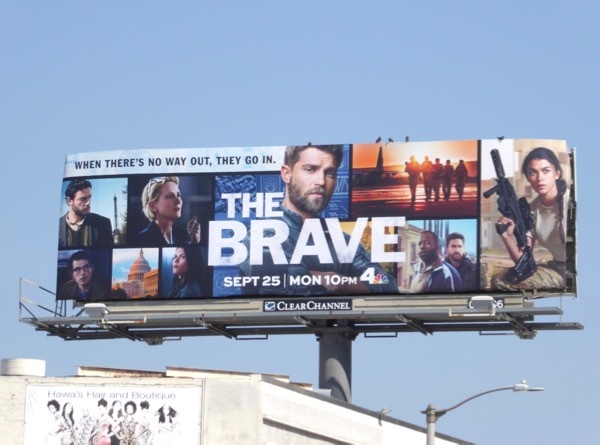 Let's see if this military-themed gamble plays off for networks this TV season, especially as everyone must be hoping that no actual wars with the likes of North Korea or Iran break out and result in blow-by-blow coverage on the news of fighting and U.S. troop deployments that no one wants, which will quickly sour audiences who want escapist drama.